The Elsa-themed Mally Disney’s Frozen 7-piece Collection. 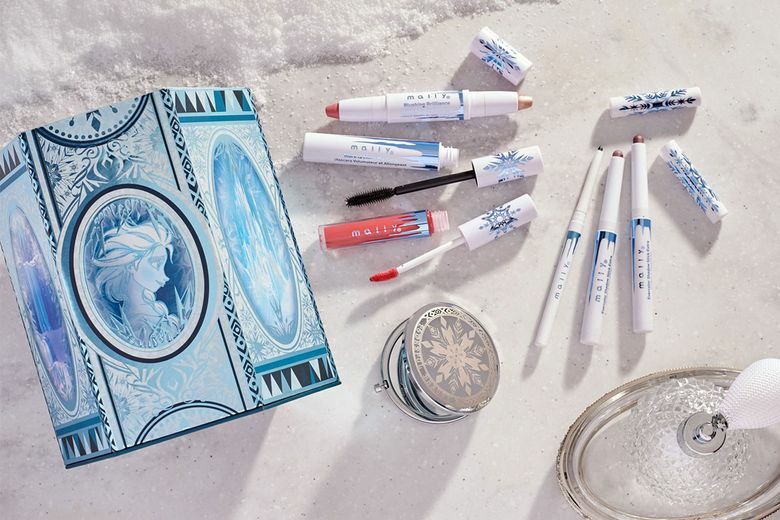 Channel your inner Anna or Elsa with a limited-edition makeup kit inspired by "Frozen." Embrace the cold with the limited-edition Mally Disney’s Frozen 7-piece Collection ($55 at qvc.com). The makeup sets — there’s one for Elsa and one for Anna — were inspired by the strong-willed sisters. Both contain color-rich products, including two eye shadow sticks, eyeliner, mascara, lip gloss, blush and highlighter. Packaged in an ice-castle case, the collections also come with a snowflake-adorned keepsake mirror.